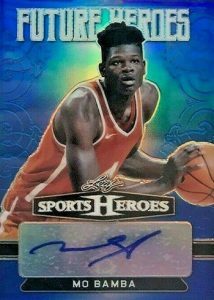 2018 Leaf Metal Sports Heroes - Multi-Sport Card Checklist	Overall rating:	3	out of 5 based on 1	reviews. 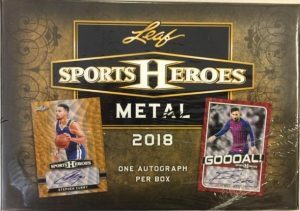 2018 Leaf Metal Sports Heroes is a multi-sport release that offers only autographs. 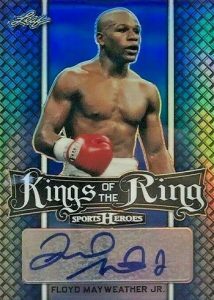 Featuring some of the biggest names in pro sports, each card comes sealed in a magnetic one-touch holder with a tamper proof Leaf sticker. 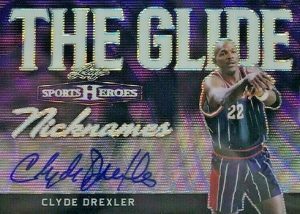 Hobby boxes offer one card per box, while Jumbo boxes increase this to 3 cards. In addition to the big 4 North American professional sports, the set also offers wrestlers, soccer players, MMA fighters, and many more. 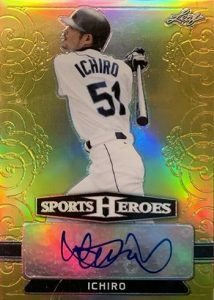 No card has a print run higher than 20 and there is no true base set, as even the most basic autograph set is technically a prism version. Fans would be well advised to grab some of this while supplies last.